Search engines have their own algorithm to rank website. Some of the common denominators are same. If your site is listed or pages are indexed, it doesn’t guarantee a rank in search engines. There are various factors that govern ranking factor such as on-page and off-page optimization. You need to understand keyword relevancy, body content and number of quality authority links pointing back to your website. These days, social media influence can be a big factor in your search engine traffic and eventually your ranking.First of all, your domain need to be listed in popular search engines such as Google, Yahoo and Bing, and then you need to evolve in SERP (search engine results page) to achieve high targeted traffic and rank. The whole process is though time consuming and lots of effort, but not impossible if you take the right step to do it. Backlinks are fundamental factor of ranking in search engines. These are like votes, the more you get, the more you rank. However, there is a crucial factor that plays a pivotal role in ranking that is quality backlinks. Google almost three years back started penalizing those websites who had unnatural backlinks. Google stresses on organic growth and thus it is important to get valid Authority backlinks from quality sites. The best way to get valid backlinks is to write great content. If you write informative content, it may happen other websites link back your link in their site. Also social platforms are excellent place to spread your content to get traffic. When you are getting traffic, eventually you will get links. 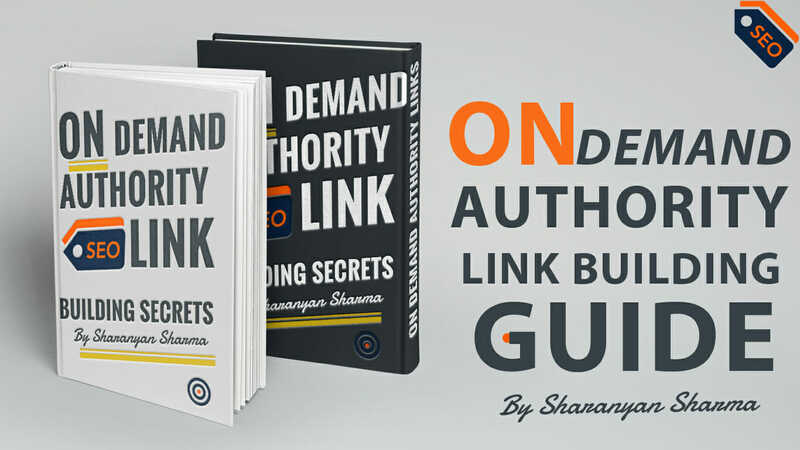 I wrote a simple E book about ” 10 Authoritive link Building strategies and finding Relevant, high quality backlink profiles for improve your domain Authority and keyword position. Yes It’s free 🙂 This is your guide to start generating more high-quality authority backlinks from trusted domains. Need Help planing your 2014 Link Building campaign goal ? Request free site Analysis.